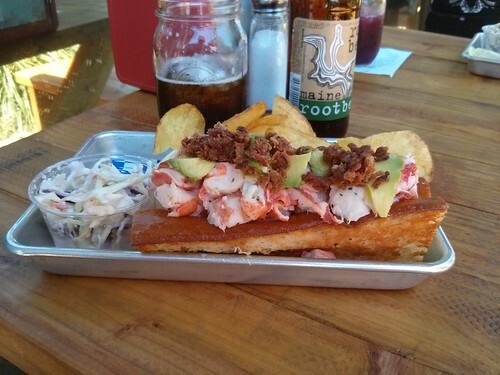 Seasonal Lobster Roll, New England Lobster Market & Eatery, originally uploaded by schahn. We drove farther than average to visit the New England Lobster Market & Eatery [Yelp], but the pleasant outdoor space they’ve created a hundred yards or so from the shore of San Francisco Bay combined with a very credible lobster roll made it worthwhile. The potato chips are also excellent.